Patricia Jessie (Driscoll), 83, of Stansbury Park, Utah, passed away on Thursday, May 17, 2018. Born Aug. 9,1934, in Brookline, Massachusetts, she was the daughter of the late Charles Burr Bridgham and Jean Smith Bridgham. She is survived by her husband Peter F. Driscoll and five children: Karen Brooks, Patricia Melgaard, George Kane, Robert Kane and Charles Kane. She is also survived by her husband Peter F. Driscoll’s children: Joanne Austin, Peter Driscoll, James Rust; and her six grandchildren and two great-grandchildren. 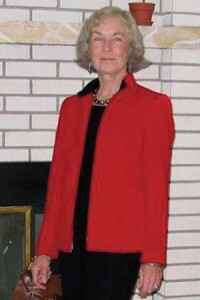 Patricia Jessie graduated with a business degree from the University of Massachusetts, and then later in her life, continued her studies at UMass with a BA. Patricia Jessie has a lifetime of accomplishments, and has had a passion for the arts and literature. She loved her photography and gardening, especially photographing her roses. With a heavy heart we say good-bye to a beautiful wife, mother, grandmother and friend. She will be missed by many. May your light always shine over us. Memorial services will be held on Saturday, June 30, 2018, in Stansbury. The location has yet to be announced. Location information will be provided to Tate Mortuary in Tooele. It will also be placed on Patricia Jessie’s Facebook page.